We customize, design, plan, facilitate and conduct exercises locally, regionally, and at the provincial and/or national level for all sectors. By working with us, you can be assured they will have a valid exercise program that will identify strengths and weaknesses in plans and strategies, while also providing opportunity to utilize response resources and rehearse their roles during an emergency situation. Planning cycle about one to two months (at the most); at least three hours. Basic tabletop: starts with a simple exercise plan and straightforward narrative; the team responds to the challenge in a discussion format; in other words, they tell the Facilitator “this is what I would do to solve the problem.” It is a step up from an Orientation exercise but remains conversational. Advance tabletop: The idea of an Advanced Tabletop came about in the late 1990’s when we were doing the Y2K prep and exercises. You bring key stakeholders to the table “Media”, “Contractors/Vendors”, Suppliers’ etc as applicable to the organization. About 2 to four…. We can refer as Simulation Team. Functional exercises are fully simulated and feel very realistic. To be fully simulated means that participants perform all activities (within the confines of the EOC) and all exercise injects are delivered by a Simulator or an audio-visual tool. In a Functional exercise the team would order a resource, but wouldn’t deploy them. During a Functional exercise, you could walk into an EOC and within a few moments swear that this event was really happening. In this type of exercise, the exercise players are presented with a full exercise plan and a detailed narrative. There are significant number of injects delivered by the Simulation Team to provide that realistic give-and-take that makes the event seem real. This exercise has a larger cast of characters on the day of the event: more Simulators, Controllers/Evaluators, Observers and a bigger Design Team, and key stakeholders. Could have equipment-intense, injects delivered by phone or using technological means. The final exercise is a Full-scale exercise; this has all of the complexity of the Functional exercise, with the added layer of an actual field response on top. In a Full-scale exercise, you order a resource AND you deploy it. These exercises are more commonly done in the public sector, such as an airport exercise that simulates a crash with actual “victims” or a chemical spills affecting the community, or a terrorist exercise. These exercises are expensive to plan and deliver, and are very time-consuming. 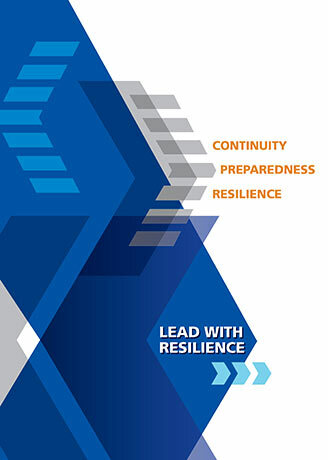 Those organizations likely to do a Full-scale exercise are those with major regional risks, such as hurricanes and earthquakes. I.e. EOC and ER Hospital Dept.